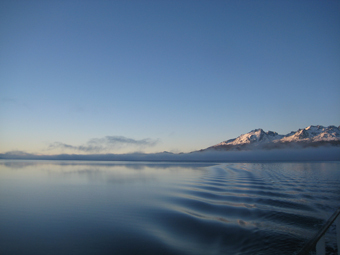 As an archipelago, the Cape Horn Biosphere Reserve includes large extensions of marine ecosystems, particularly interior channels and fjords, but also including open sea. To date, research in marine ecology has focused on algae and invertebrate consumers, which have as their goal the sustainable use of these important economic resources. Currently, a new emphasis has been placed on studies that will link both terrestrial and marine ecosystems. The Sub-Antarctic Biocultural Conservation program develops research to understand and develop baseline data, and to prioritize the ecological importance of ecosystems that have typically been left out of conservation discussions. The Tierra del Fuego archipelago and Cape Horn provide a realm to investigate the relationship between terrestrial and marine ecosystems that has no latitudinal equivalent; no other terrestrial environment is as far south as Tierra del Fuego. Furthermore, marine ecosystem research in southern South America provides insights into the links between Antarctica and the sub-Antarctic regions.